With a stay at Amber Hotel, you'll be centrally located in Baku, within a 15-minute drive of Fountain Square and Baku City Circuit. This hotel is 0.8 mi (1.3 km) from Baku State Circus and 1.1 mi (1.8 km) from Heydar Aliyev Palace. 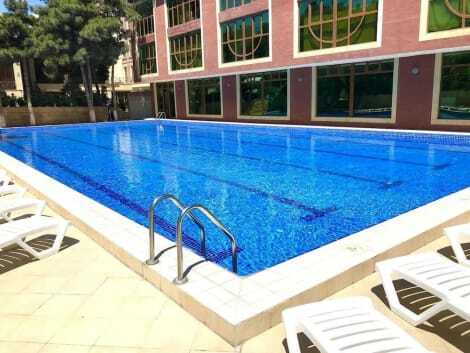 This hotel is conveniently located in Baku, lying just a 5 minutes' walking distance away from Fountain Square. The Nizami promenade, where world famous brand boutiques await, is just a short distance away. This hotel affords guests a great setting from which to explore and experience the unique culture and history of this wonderful area. 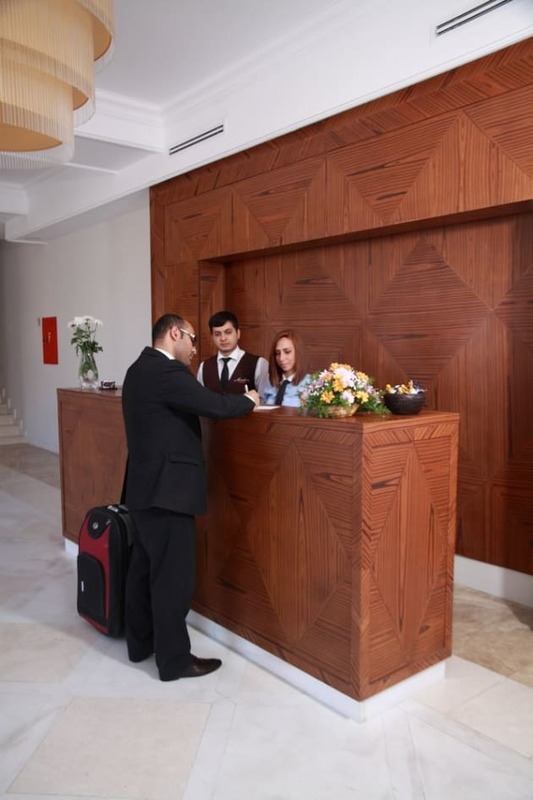 The hotel enjoys a wonderful design, tempting visitors with the promise of an unforgettable experience. The guest rooms are chic, stylish and tastefully decorated in pastel colours. 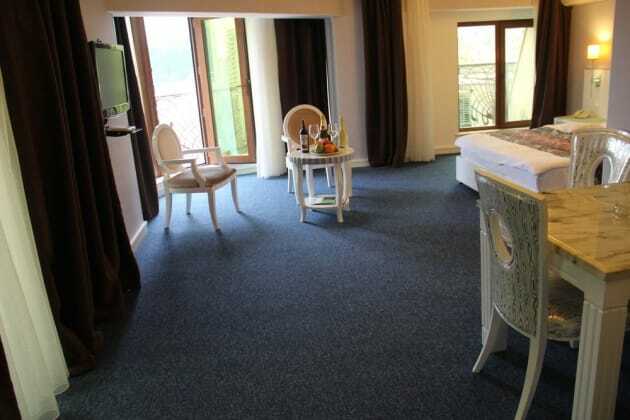 The rooms feature balconies which are set overlooking the Old Town. A number of facilities and services are available at this hotel, delivering the utmost in comfort and convenience. Enjoy a meal at the restaurant or snacks in the coffee shop/café. The hotel also offers 24-hour room service. Quench your thirst with your favorite drink at the bar/lounge. A complimentary buffet breakfast is served on weekdays from 7:30 AM to 10:30 AM and on weekends from 8:00 AM to 11:00 AM. When you stay at New Baku Hotel in Baku, you'll be within a 10-minute drive of Baku Mall and Baku State University. This hotel is 3.9 mi (6.2 km) from Fountain Square and 2.3 mi (3.7 km) from Baku State Circus. A stay at ALP Inn Hotel places you in the heart of Baku, a 4-minute drive from Tofik Bakhramov Stadium and 9 minutes from Haydar Aliyev Cultural Center. This 4-star hotel is 5.1 mi (8.2 km) from Fountain Square and 2.2 mi (3.5 km) from Metro Park. This elegant hotel offers its guests modern and attractive facilities at excellent prices in a fantastic location. This complex is equipped with the latest amenities and services that visitors may find in this international hotel, creating warm and comfortable surrounding that will make feel the comfort of home. And when travellers are done resting, they may enjoy their time at the state of the art facilities such as: Jacuzzi, Turkish bath and fitness. All the spacious rooms and apartments, providing panoramic views, enjoy modern décor. The charming hotel restaurant and summer terrace serve lunch and dinner and throughout the day the chef will amaze all palates with the traditional Azerbaijan cuisine and best International dishes from around the world, giving delicious taste sensation in a casual and relaxed atmosphere. Featured amenities include a business center, complimentary newspapers in the lobby, and dry cleaning/laundry services. Planning an event in Baku? This hotel has facilities measuring 10764 square feet (1000 square meters), including a conference center. A roundtrip airport shuttle is provided for a surcharge (available 24 hours), and free self parking is available onsite.